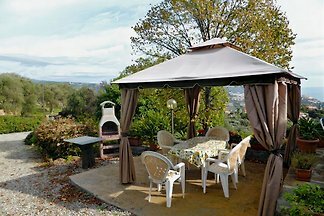 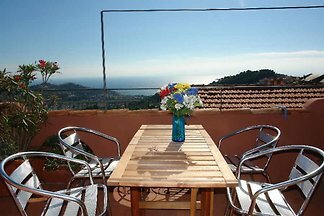 House with sea view and sun terrace, 4 km to the beach, Ital. 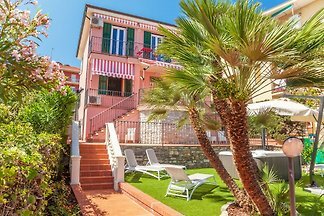 Riviera, Liguria, in the historical center of Cipressa, quiet area. 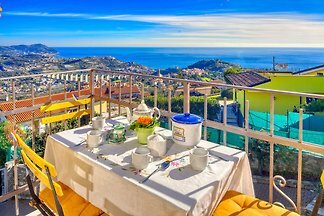 The apartment has a large terrace with a spectacular sea view. 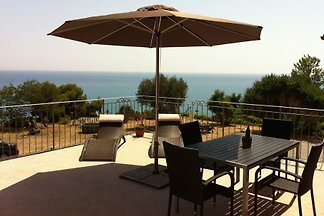 Furniture is placed in all appropriate places plus sunbeds and outside BBQ and dinner table, plus an outside shower . 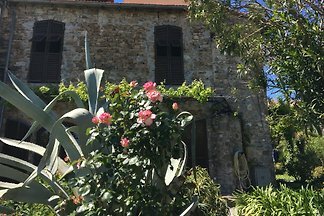 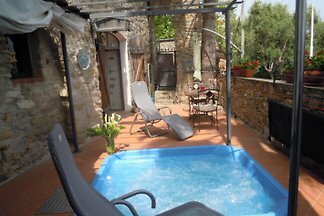 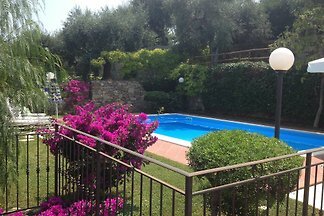 Spacious stone house with roof terrace, sea view and mediterranean garden -, 3 bedrooms, 2 with sea view, on the ground floor and guest tract old vaulted ceilings. 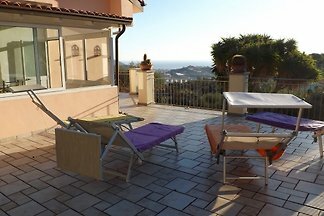 Sunny, spacious apartment 120sqm, 2 bedrooms, max. 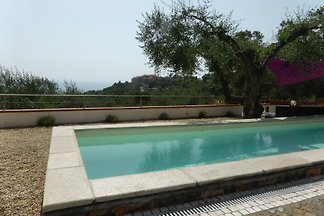 5 persons, 2 bathrooms, large living room, extra kitchen, 3 terraces, parking space in private property, barbecue, wifi. 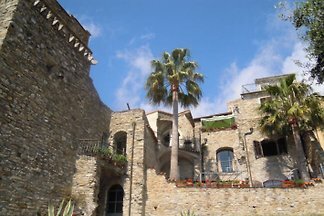 The apartment is located in a beautiful, natural stone walls from the 15th century and has been completely refurbished by us. 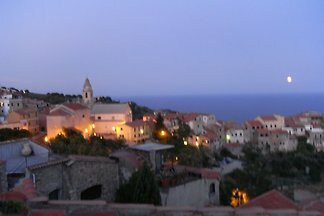 It lies on the provincial road. 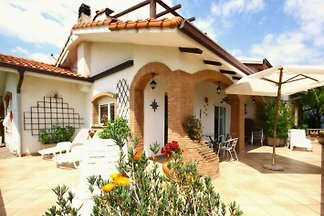 Rent successfully your holiday flat or holiday home in San Lorenzo al Mare in only 20 minutes !